Here we are in 2017, 2016 is a distant memory now. We would like to take this opportunity to wish you a Happy New Year and make a few predictions about the future of retailing, e-commerce and discuss what website changes or logistical solutions you may need to implement if you want to make the most of emerging trends. FTSE 100 retailer NEXT recently issued a profit warning that saw nearly £1 Billion wiped off their share price, the news sent shock waves through the retail sector. Next is the first large retailer to report Christmas performance, Debenhams, Marks and Spencer, Tesco, J Sainsbury and Morrison are all expected to report their Christmas performance shortly. Is the NEXT profit warning a sign of changing trends in the world of retail? 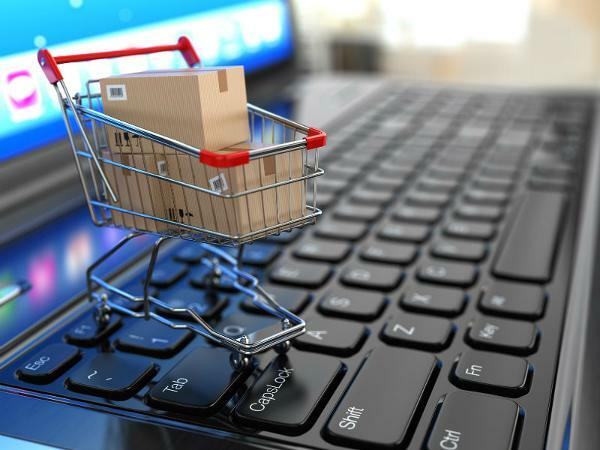 Some analysts say that it is due to the growth of online retailers, online shopping is certainly changing retail trends. The NEXT directory was a forecasted to be a big growth area for NEXT, has the popularity of e-commerce has made the directory irrelevant? There is now doubt in any ones mind that online shopping and online sales will continue to increase in 2017, the growth of online shopping will bring with it the innovation of e-commerce sites, logistics and warehousing. Will Trump Boost Online Sales in 2017? Could the new president of the United States be positive for online retail in the U.K? The Trump presidency is likely to produce a weaker $ at least at the start, many have little faith in Trump and this could be positive for the £. Despite Brexit concerns and doom mongering GBP could become stronger against USD, a stronger £ will reduce U.K inflation and make goods cheaper for U.K retailers and shoppers. Like online retail, smartphone usage is on the increase. This article from the Telegraph predicts that 70% of the worlds population will have a smartphone by the year 2020. It is predicted that by the year 2020 their will be 26 billion mobile devices in use around the world. This trend means that more people will be using their smartphone to shop in 2017 and beyond, failure to optimize your e-commerce store for mobile traffic could cost you sales, increase your sites bounce rate and reduce your traffic. Google have released a number of algorithm updates to give increased importance to mobile friendly site design, the world’s pre-eminent search engine is also heavily pushing the use of AMP (Accelerated Mobile Pages). AMP means static pages can render faster on mobile devices, Google has starting giving weight to AMP pages when searches are performed via a mobile device. Increased online sales will require many online retailers to adapt their logistics and warehousing capabilities. Further developments will be made to improve the fuel efficiency and greenhouse gas emissions of large HGV fleets, the U.K government has introduced laws that they believe will protect ‘vulnerable users’ i.e. pedestrians, cyclists and motorcyclists when in London traffic. More can be learned about the future of commercial transport in this post. This post was written and supplied on behalf of Go Supply Chain, experts in logistics and supply chain management. How To Choose Security Roller Shutters For Optimum Security Purposes?